Over the past 2 weeks, it seems like my diet has primarily consisted of cookies and things smothered and covered in some sort of cheese. To be clear, I’m not really complaining about that (I love my cheese and sweets,) but I realize that a continued pattern of eating those fatty foods is going to wreck havoc on my waistline and on my health in general. So in order to get some green back into my diet, I’ve been eating a whole lot of spinach here lately. I love spinach WAY more than lettuce (not to mention it’s way healthier than lettuce,) so I don’t have much of a problem eating it as a salad. My problem is that I’m sort of anti-leftovers and I get burned out on foods very quickly. When I say I’m anti-leftovers, I really mean that I’m not crazy about eating something as a leftover more than once. I can eat something twice, but then my taste buds have to move on! When I’m not scarfing down a bowl of cereal in the morning, I’m probably eating a muffin of some sort. I really love to bake muffins at the beginning of the week and munch on them all week long. It’s a total win for me because it means I only cook breakfast once! 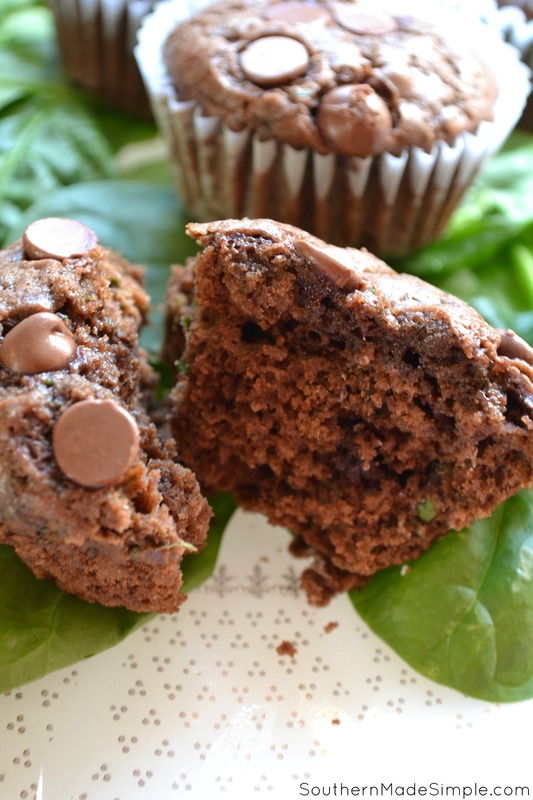 I figured there must be some way that I could sneak in a little spinach into my morning muffin, so I gave it a shot and came up with something INSANELY delicious! 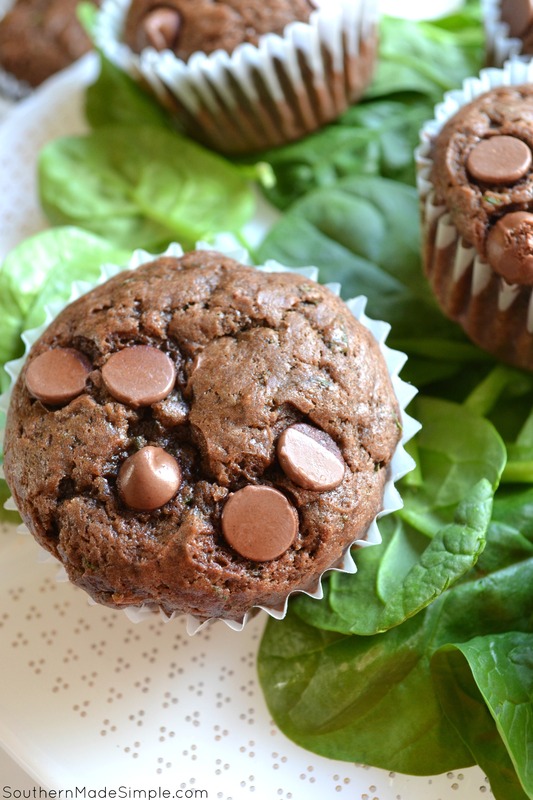 These Chocolate Chip Spinach Muffins are a new favorite in my house, and they’re a great way to sneak in veggies into my toddler’s diet, too! The texture of these muffins was absolutely perfect. So moist and rich! It was almost like eating a brownie without all of the guilt. That’s my kind of muffin! Here’s my complete recipe for you to try if you’re feeling up to it. If you do decide to make a batch for yourself, I’d love to hear about how yours turned out! 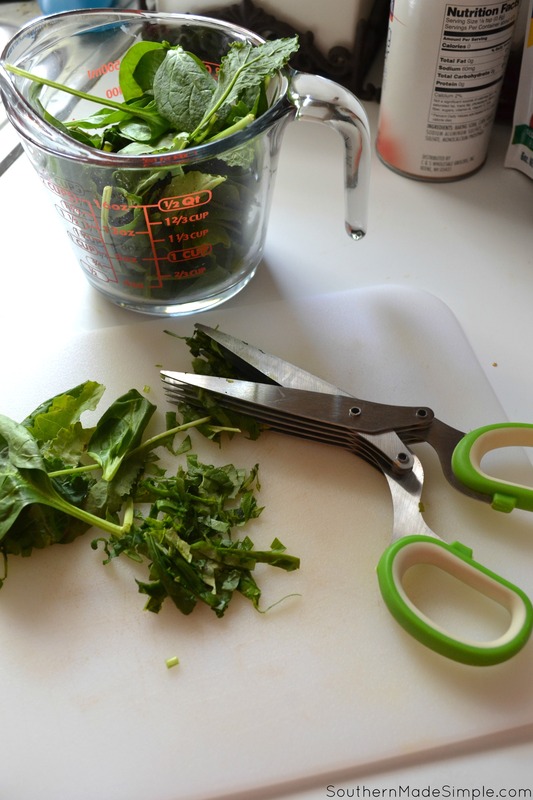 Do you have a recipe that incorporates veggies into a food you’d never think to put veggies in? Or maybe you’ve tried a recipe before that completely hides the veggies all together? If so, I’d love for you to share the love with me! I’m always looking for something new and delicious to try! Is there anything I can sub for coconut oil?? Subbing in melted butter in place of the coconut oil should be just fine! Same measurements. Hope that helps! 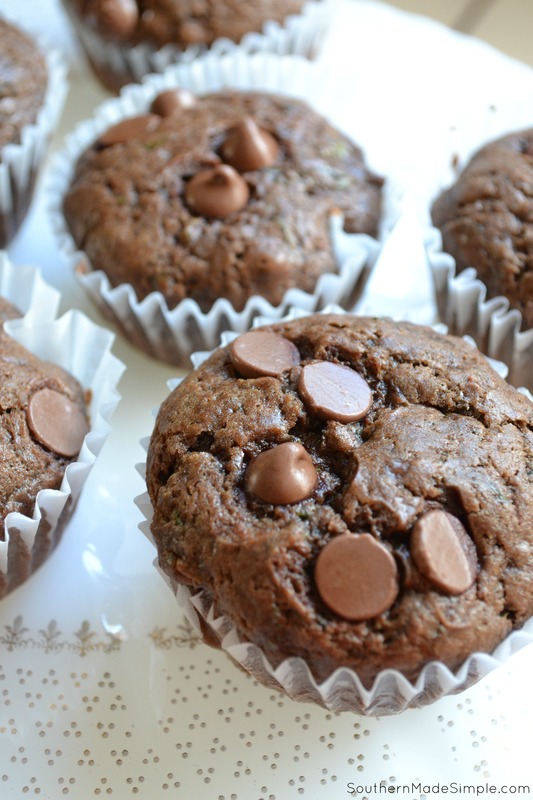 I tried these for the first time this afternoon on a whim – my kids (aged 3, 5 & 7) aren’t big muffin (not to mention spinach) eaters unfortunately. But wow! They devoured them and then asked for seconds, which quite literally has never happened in the history of me making muffins. I may have told them they were “chocolate brownie cups”…..but hey, call them what I may, they bought it and LOVED them! I decided to purée the banana with the spinach so that nothing was detectable, and that worked great. So chocolately and so moist. Thank you! Hi Melissa, I’m SO happy to hear that these muffins were such a huge hit! And brilliant move pureeing the banana and spinach. Kudos to you! Do you have the nutritional information for these? They are fabulous! Yes, and they should last for a couple of months that way. Yes! I make these all the time and just pop them into the freezer after they’ve cooled. They make great additions to lunch boxes! I have been searching for recipes for my super picky 4 year old and foumd these. I just finished making them. Goodness are they super good!!! Thank you so much! We make these weekly in our house! Thank you so much for sharing. The only thing we changed up was adding one more banana, which made them a little less crumbly for our littlest one. These are requested every morning in our house! I don’t, unless I feel they won’t be eaten in a timely manner. They’re fine to sit in an air tight container on the counter for a few days! They can also be frozen if desired.